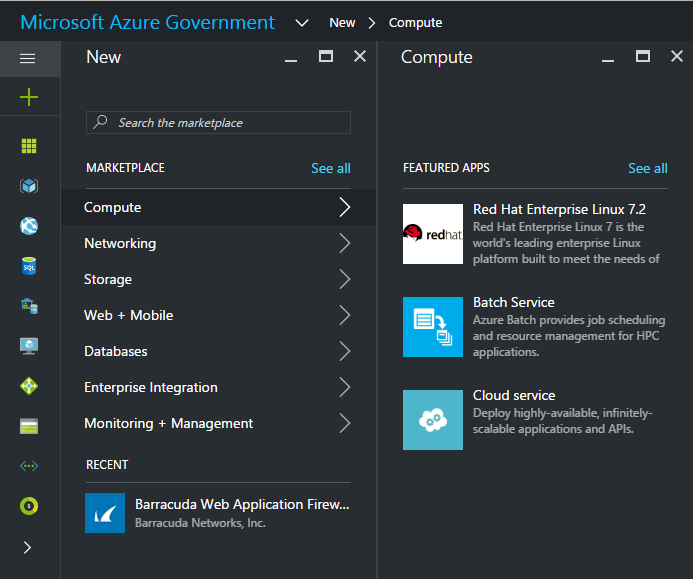 The Azure Government Marketplace helps connect government agencies and partners with independent software vendors (ISVs) and start-ups that are offering their solutions in Azure Government. 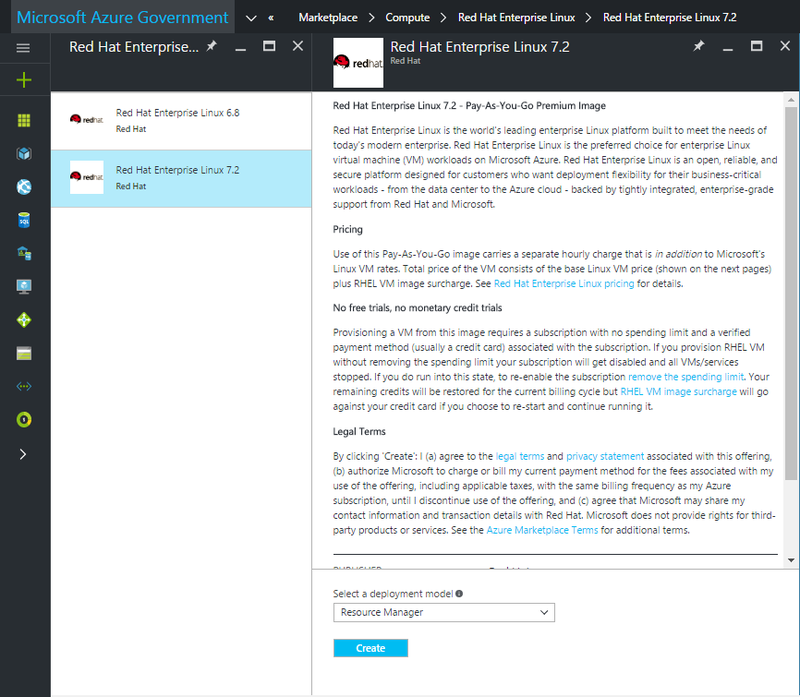 For information on making your images available in Azure Government, see the partner onboarding guidelines. Only Bring Your Own License (BYOL) and Pay-as-you-Go (PayGo) images are available. 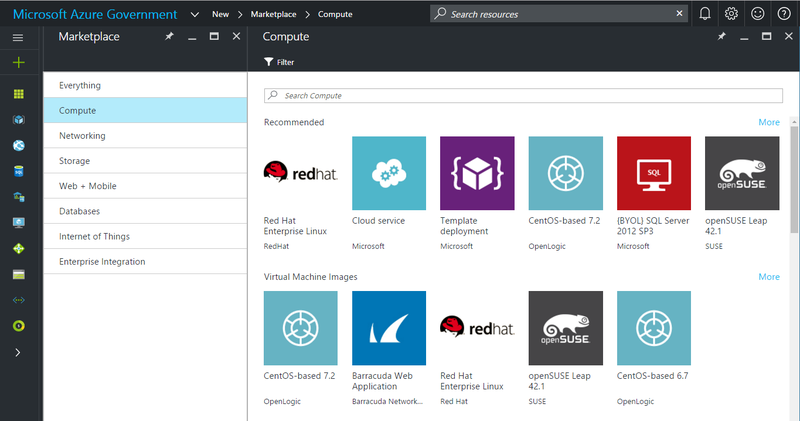 Red Hat Enterprise Linux is available in Azure Government with Azure Marketplace billing. This is a special case exception to the above statement about license options in Azure Government. 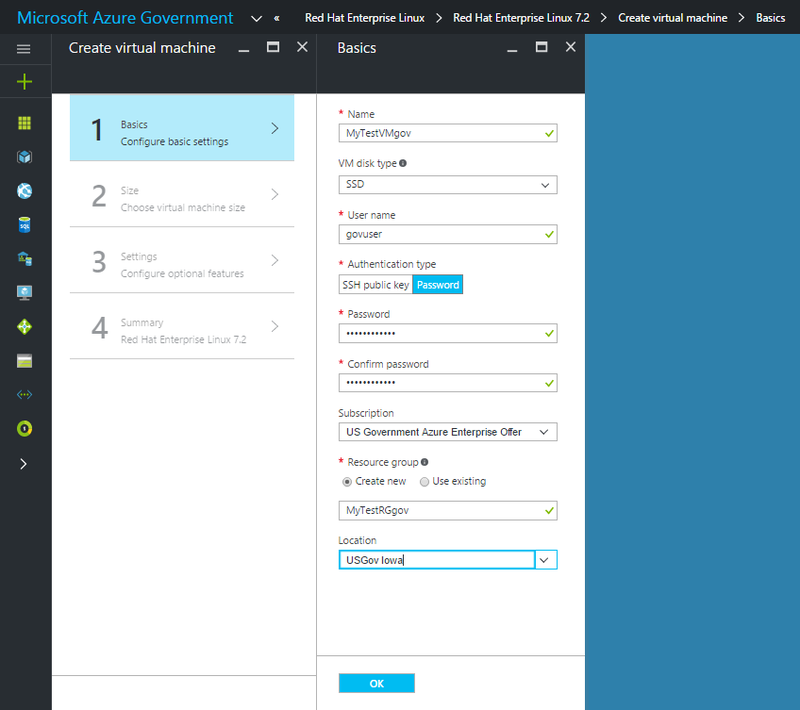 If your subscription is under an Enterprise Agreement (EA), the Azure Government Marketplace must be enabled before you can deploy a Marketplace solution to your subscription. It can take up to 24 hours for the change to take effect. Log in to the Azure Government portal. Browse through different products to find the right one. The marketplace publisher provides a list of certifications as part of the product description to help you make the right choice. Choose an product\image and click Create. Enter the required parameters for deployment. To start the provisioning process, click Ok.